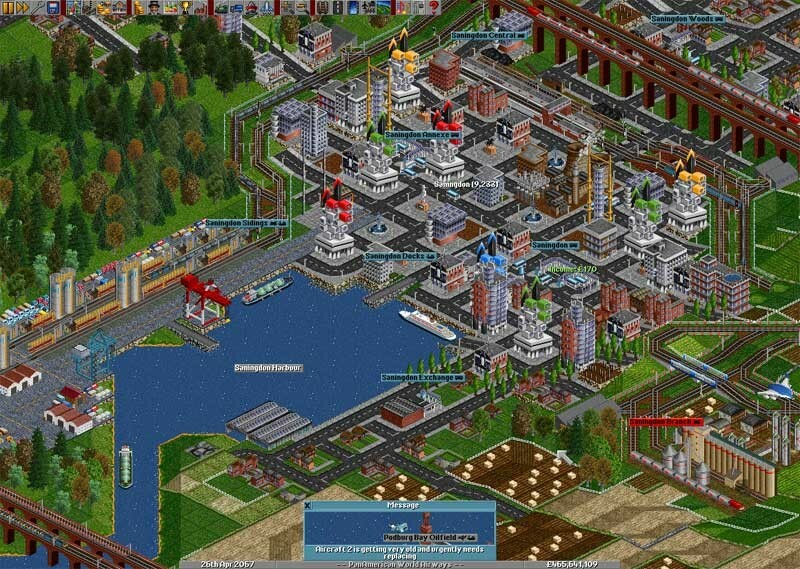 OpenTTD is one of the most popular business simulation games out there. In this game, you need to create a wonderful transportation business. However, you will start in the beginning at around 1900 or even earlier, and you have to try and find the right way to get new items and grow your business as much as you can. 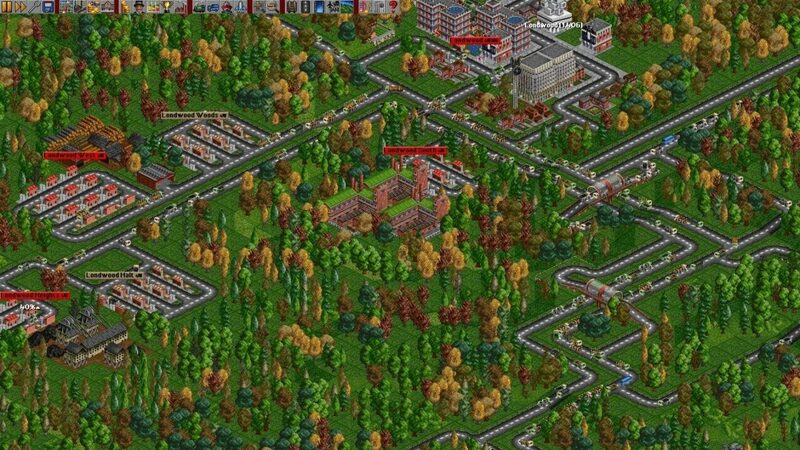 OpenTTD isn’t a simple game. But it’s the way that plays which makes it so fun and interesting. Each time you play, you will get access to some new features and gameplay ideas. The maps are randomized, so you never know what cities you have on the map and what resources you can harness. The idea here is to start connecting cities to one another at first. Then you have to connect businesses to cities, in order to offer those cities the desired items that they are in dire need of. You will be able to use regular buses for transportation, trucks, airplanes and naval transport as well. Of course, the trick is to expand only when needed and to avoid unnecessary costs. In the beginning, you need to work only with one or two routes at most. Make sure that you optimize those to make more money, and only then should you expand to getting even more and better results. 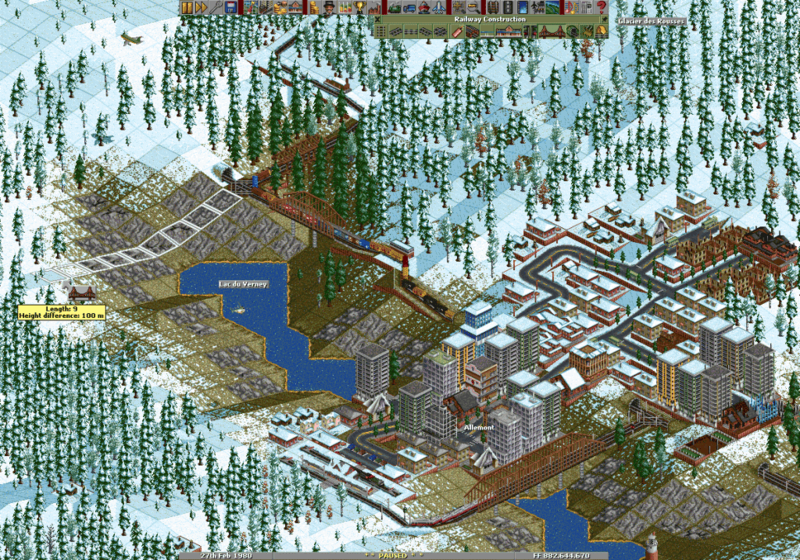 Despite the fact that it may look simple, OpenTTD is not a simple game at all. It’s a title full of challenges and it does tend to bring in front a lot of exciting and unique solutions. Start by building 2 or 3 airports. This is a very good idea if you want to have thriving cities right from the start. The idea here is to focus on finding the best places where you can put these airports, usually the 1500+ cities will be perfect for that. Once you have the airports, a good idea is to buy one or two airplanes and let them fly between the airports. You can get lots of income from the start, and that can come in handy. You will have to fast forward to earn the income you need, and then you can repay the loan. Usually, these planes need to be replaced after a while, so check them out. Create a two way track across a couple of cities. This will allow these cities to grow pretty fast and then you will get to have a nice income as well. Adding more stations and letting some industry products coming in can be a very good idea here. It’s a slower way to make money, but it delivers a more satisfying way to play the game. Build up lots of routes that help you connect coal mines to a power station. When you have a lot of money, you can start a new network and then expand it from there. It’s a rather slow way to make money in the game, but it can be worth it and a whole lot of fun to pursue. Favor longer routes instead of shorter ones. Longer routes may cost more to create, but they always end up giving you more money in the end. So, the option is you avoid spending on smaller routes and instead focus on the longer ones. It’s a lot better, more fulfilling and results can be more than ok in the end. Do whatever you can to focus on the best resource producers. Each map will have a different good resource producer. The idea here is to make sure that you stick to that resource. For example, you can focus on citizen transportation if you want passengers. If you want to focus on word carving, opt for a station near the forest. Be creative and try to find the best way to earn money fast! Opt for the faster vehicles. Granted, they tend to cost a lot more money, but they end up bringing you a lot of value as a result. They also have less breakdowns, which in the end means that you will have a very good return on investment. Upgrade stuff as you progress. Remember that as you progress in the game, new and better vehicles and bridges (among others) become available. What you want to do here is to find the right set of tools needed to take your experience to the next level.